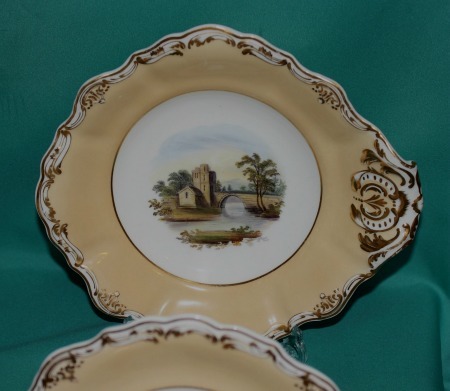 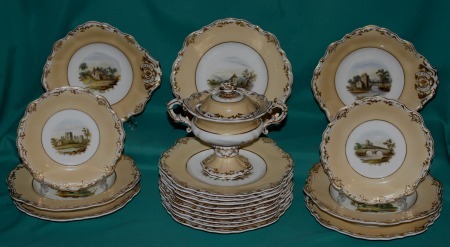 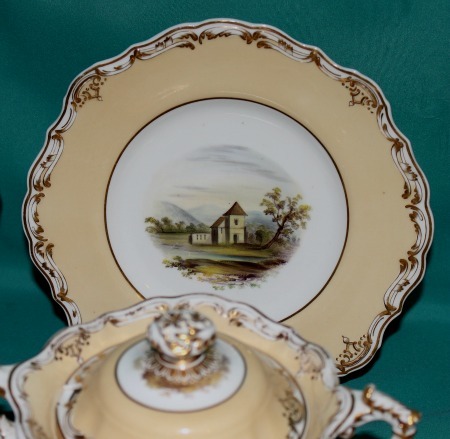 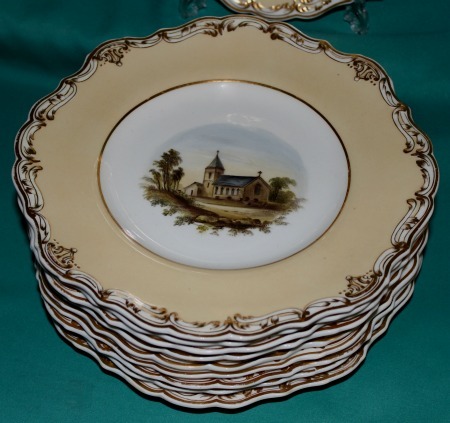 A Copeland & Garret Porcelain Dessert Set c.1835, comprising 12 dessert plates, 2 dishes, 2 small plates, 2 soup plates and a souse tureen, painted with a landscape on a deep yellow/tan ground, moulded rococo style border, picked out in gilt. 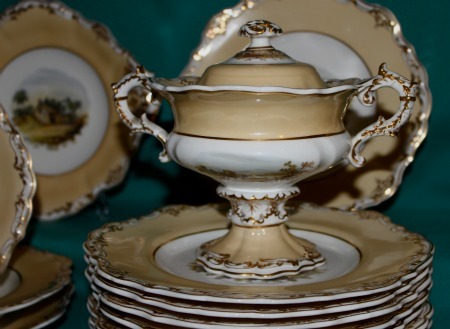 Dimensions: dessert plates 24 cm diam, dishes 24 cm diam, small plates 19 cm diam, soup plates 25 cm diam, tureen 17 cm high x 21 cm from handle to handle. 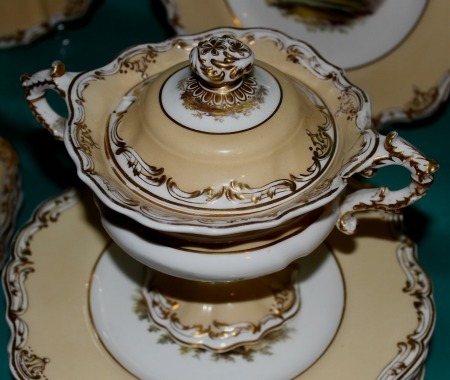 Condition: One of tureen's handles broken/restuck. 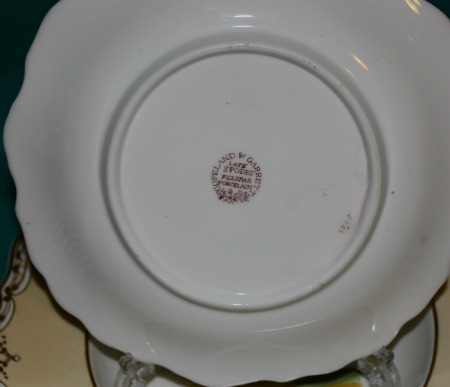 Printed marks in brown and green, impressed devices, pattern 4993 in gilt.